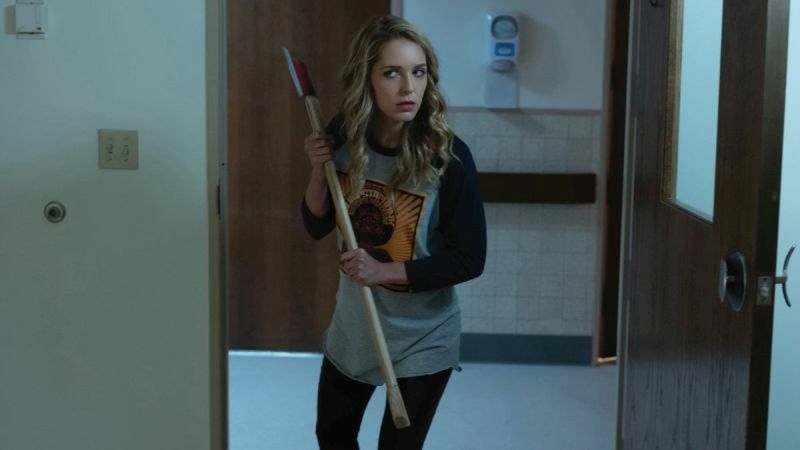 Universal Pictures has released another clip from Blumhouse’s forthcoming slasher comedy Happy Death Day 2U, featuring Jessica Rothe’s Tree trying to yet again escape from Babyface. Check out the video below! Jessica Rothe leads the returning cast of Happy Death Day 2U, the follow-up to Blumhouse’s (Split, Get Out, The Purge series) surprise 2017 smash hit of riveting, repeating twists and comic turns. This time, our hero Tree (Rothe) discovers that dying over and over was surprisingly easier than the dangers that lie ahead. Jason Blum once again produces and Christopher Landon returns to write and direct this next chapter, while Happy Death Day executive producers Angela Mancuso and John Baldecchi are newly joined by EP Samson Mucke (Scouts Guide to the Zombie Apocalypse). The sequel also stars Israel Broussard, Ruby Modine, Rachel Matthews, and Phi Vu. Happy Death Day 2U will arrive in theaters on February 13. The post Tree Tries to Escape Death Again in New Happy Death Day 2U Clip appeared first on ComingSoon.net.